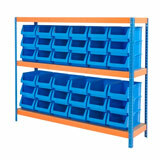 Designed to organise and utilise space within workshops, warehouses and garages as well as for general storage use. 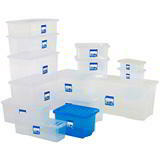 This Correx plastic parts bin kit is cost effective and very easy to assemble, making it an ideal entry level storage option. The boltless steel shelving is lightweight, yet sturdy and the high-density chipboard decks are resistant to moisture, grease, oil and other chemicals and is therefore perfect for warehouse type environments. 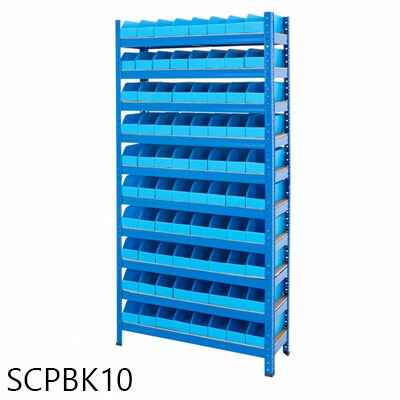 Each shelf has a load capacity of 200kg UDL (Uniformly Distributed Load). 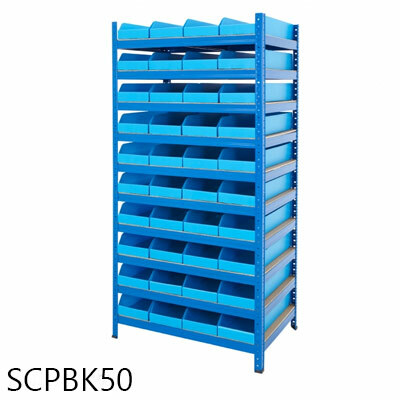 Choose from a 5 or 10 level storage system in a range of sizes and part bin quantities. 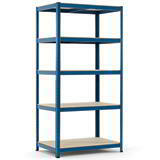 View more storage kits in our shelving and storage here! 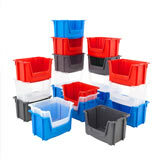 Differenciate your products with a range of vibrant coloured premium stacking bins. 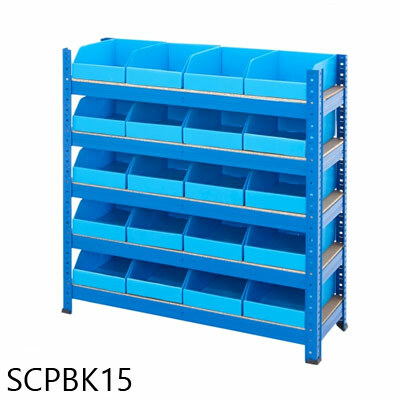 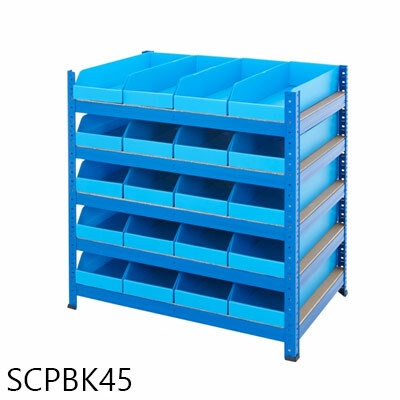 With a load capacity of 300kg, these industrial storage shelves are sold with parts bins included.